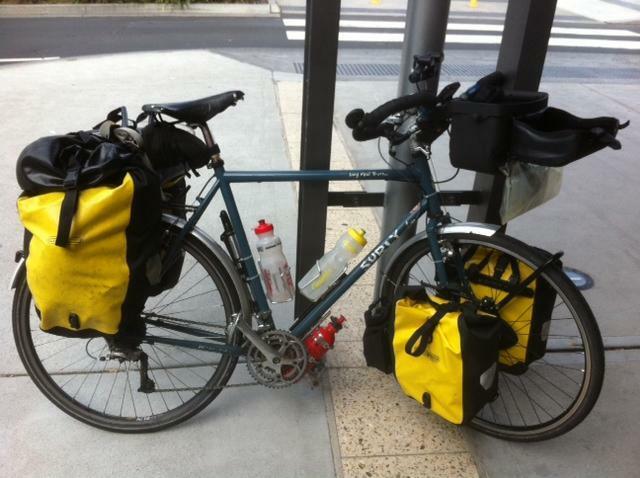 Yesterday I was busy packing the bike away in preparation for the flight to Hobart. This morning I was up at 4am and I am really looking forward to this trip. The taxi was bang on time. The only problem was that the taxi driver didn't know how to get to the airport. I only live about 7kms from the airport. Once at the airport check-in was nice and quick, so I had time for a coffee before my flight. The flight to Hobart felt very quick. I arrived at at around 8.30am. Once I got my bike back, I spent the next 45 minutes putting her back together. The weather is certainly cooler than compared to Sydney. I left the airport at around 9.30am. It is a little overcast with a slight tailwind. So is quite nice for riding. I headed for my first stop of the day, Richmond. The ride was along a reasonably narrow and busy road. But so far the Tassie drivers have gave me plenty of room when passing. Lets hope the courteous driving continues. I got to Richmond just after 11am and stopped at the bakery for a coffee and something to eat. I then had a look around. 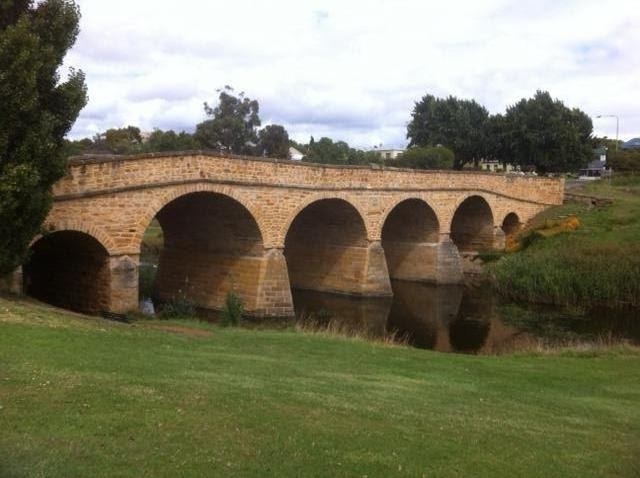 Richmond is next to a river and is very picturesque. I then got a bit a food for the rest of my ride for the day. For the next 40kms the road climbed a couple of nice long hills. I arrived in Orford at about 3pm. Orford is a small town on the east coast. I stopped at the beach for a little while before I commenced my final 5kms into Triabunna. 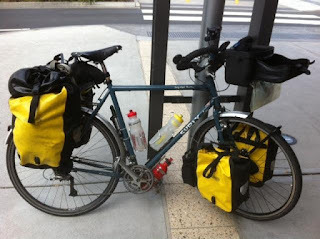 I then continued my ride to the caravan park in Triabunna. I met 2 other touring cyclists from Canada. They are spending 5 weeks touring around the island. All three of us are going across to Maria Island tomorrow on the ferry. Today the riding was really nice and the rain held off, just. Tomorrow I'm hoping the weather will still be nice, as I'm planning a nice walk on the Maria Island.